For anyone interested in an “open Internet” (not as the big cable companies and wireless carriers define it), take a look at this entertaining coverage of the new Net Neutrality proposal by the FCC. Please comment on the new proposal at the FCC website. You can also learn more at the Entertainment Consumers Association website here. Through the ECA website, you can provide your information and it will generate form letters for your local representatives in Congress, the President of the United States, and the FCC. 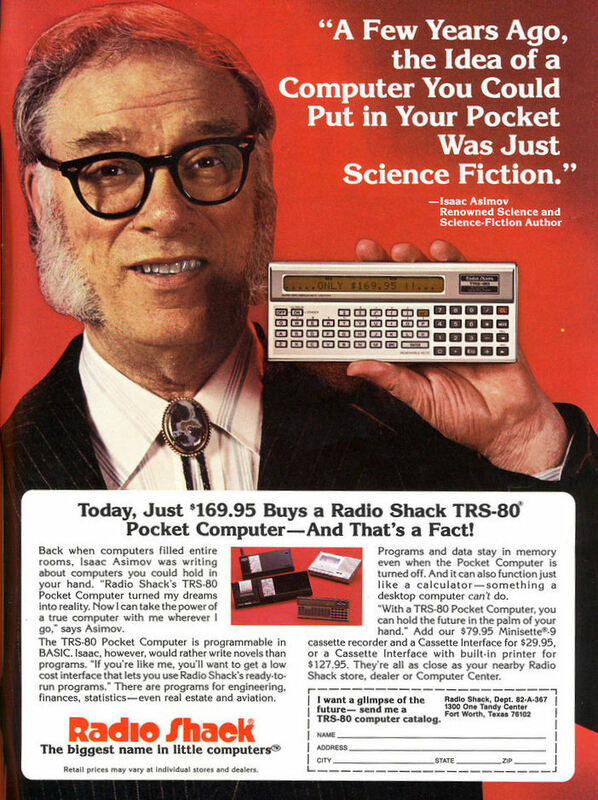 I just ran across an article on Isaac Asimov’s predictions for 2014 from 50 years ago. I was thinking of a blog post to start out the year, and this popped out as a good opportunity. 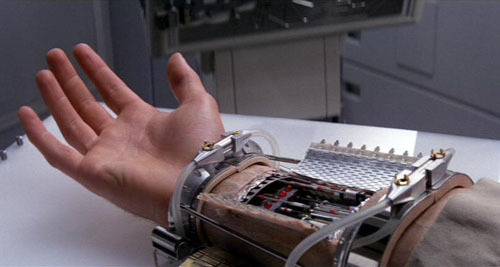 As anyone that reads this blog should know, Isaac Asimov is my favorite writer. His birthday is unknown for certain, but he chose to celebrate it on January 2nd. More information here. Anyway, back in 1964 at The World’s Fair, he made a few predictions. Some of the more accurate ones are below describing video phones, Robots, vehicular robots (Google car? ), “Wall Screens” (not quite yet but very close), and a eerily accurate population estimate. I also have a prediction for today, the birth of a friend’s baby that is now one week overdue. It would be awesome to share a birthday with Isaac Asimov, right? For the complete list and link to the original article, click the links below. Real world Lightsabers coming soon! A few years ago, the Science Channel aired an episode of SciFi Science, “How to Build a Lightsaber” hosted by theoretical physicist Dr. Michio Kaku. He explained some theories that might be used and developed a rough design that should be “workable in our lifetimes.” Of course almost all of his episodes end up with that qualification. Last month it looks like there was a breakthrough in the hardest part of making a lightsaber work, getting the blade to stop at a certain point. Although the most prominent uses for controlling the depth of laser cutting are surgical and clinical, Fraser said the team is “very excited about the potential industrial applications,” especially since compared to clinics it’s easier to get new technology into industries. Unfortunately, the goal is to make the lasers useful surgery, not chopping off alien arms at cantinas. For all of you geeks that have had your head in the sand, artificial intelligence has hit a milestone. Yesterday, IBM’s Watson trounced these bags of meat known as Ken Jennings and Brad Rutter in Jeopardy. If I ruined the result of the match, I apologize, but I figure posting a day after is enough notice for anyone that was following this from the start. For some more background on Watson and behind the scenes info, check out my original post on this. I have to admit that I was rooting for Watson from the start. I was a bit worried when after the first day in the tournament Watson was only tied for first place. I’m not sure what happened between the first and second matches, but Watson rocketed ahead in the second day and never looked back. I think IBM might have been in a rush to show off their new creation. It was interesting to see the answer confidence levels during the rounds, often revealing some really wacky possible answers. Watson crashed several times during the second day of filming, nothing a regular viewer would notice while watching the recorded match on TV. One criticism I’ve heard about the match was that Watson was fed the questions electronically rather than relying on voice and character recognition. I have to agree that the electronic delivery could have been an advantage. Had voice recognition and OCR functionality been used in Watson, the victory would be quite a bit more impressive. I could clearly see the two mere mortals struggling to buzz in and shake in frustration when Watson was faster. The producers touted the physical buzzer plunger that Watson had to activate, but I still think that Watson had the advantage.